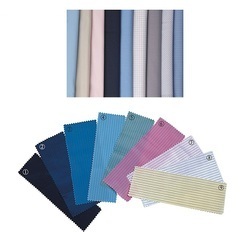 Offering you a complete choice of products which include anti static fabric. Color Available Blue, Pink, White, Yellow, Grey etc. We are involved in manufacturing a wide range of Anti Static Fabric. These fabrics protect the electronics and electrical appliances from the fires and explosions. Our anti-static fabrics are widely used in thermal processes such as gas power plants, iron melting shops and Glass making units. Garments are also used by the people to look attractive as well as protect the body from the climatic conditions. Our expert professionals fabricate anti-static garments using premium grade threads to ensure its long functional life.